Thomas Newcomen was born in Dartmouth, Devon in 1663. By trade, he was an ironmonger but became interested in the prevention of floods within the mines. 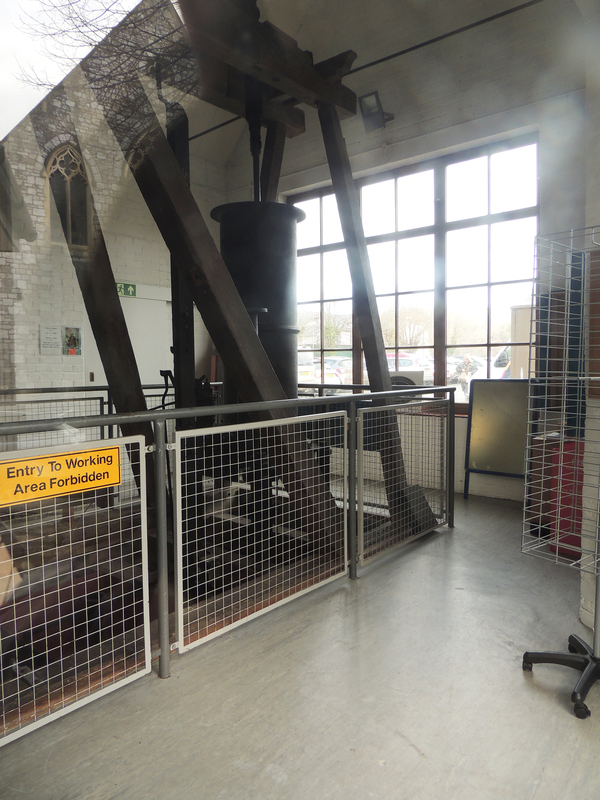 Combining two previous steam engine designs he designed the Newcomen Atmospheric Engine in 1712 to pump water out of mine workings and within 20 years over 100 of these engines were working in the UK and Europe. By 1775 over 600 had been installed and this marked the high point of the engines usage as after 1780 the developments made by John Smeaton and James Watt produced more powerful, more efficient engines for this purpose, which replaced the Newcomen engines. 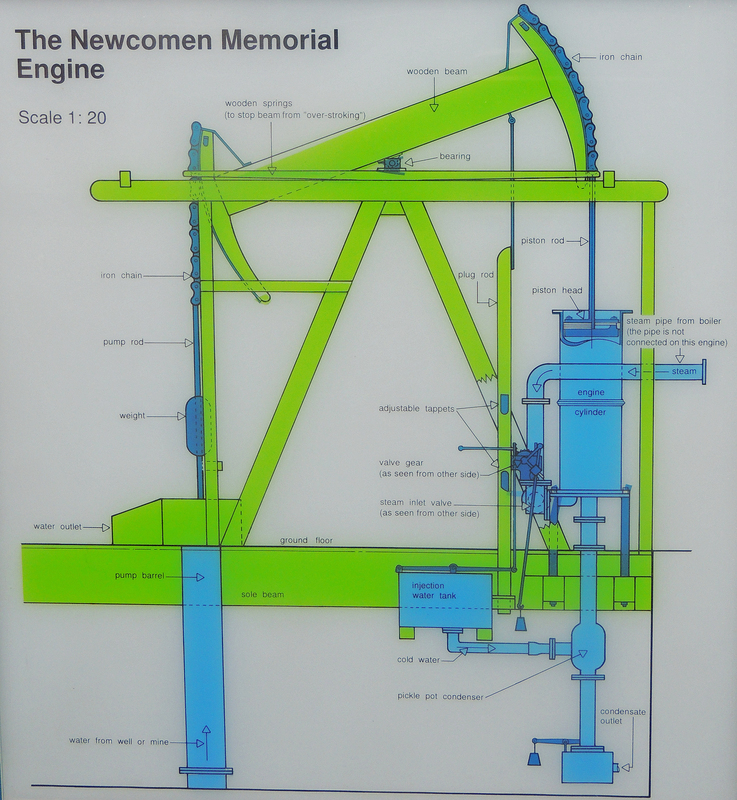 The Newcomen engine (1725) preserved at Dartmouth. Unfortunately, it was closed on the day of our visit so pictures taken through a window. 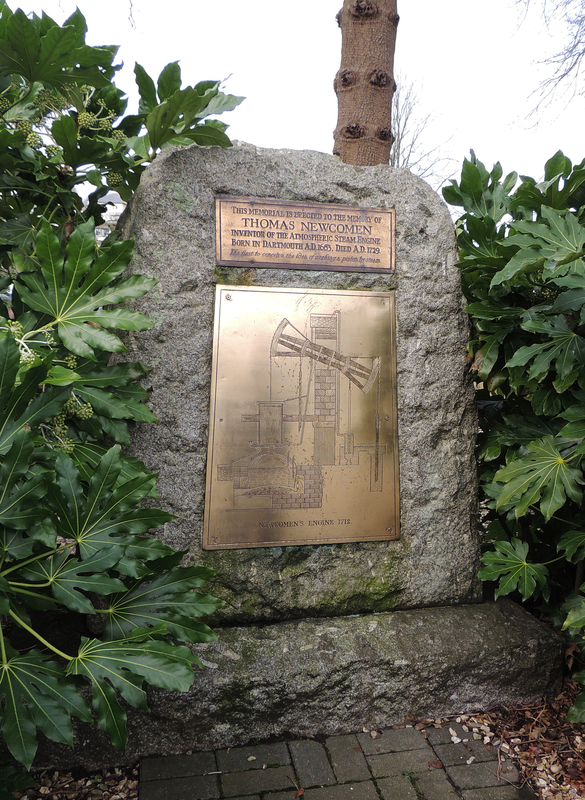 Thomas Newcomen died in London in 1729 and was buried at Bunhill Fields, although the exact location of his grave within the cemetery is unknown.